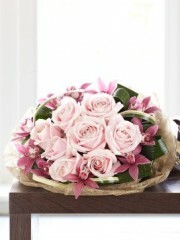 A new baby is always reason to celebrate, and what better way to celebrate than with flowers and gifts? Luckily Ellon Flowers can cater to both of these options, resulting in a fantastic purchase that you surely won’t forget. 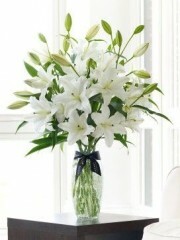 Our wide variety of flowers and gifts can meet a whole range of tastes whilst remaining elegant and stylish. The beginning of a new life full of joy and excitement means that you need a gift to match, and there is no need to look any further than Flowers Ellon to provide anything you might need. 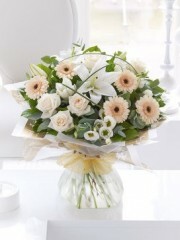 Our florists in Ellon have over 40 years of experience in the floristry industry, which means that you can count on us to provide you with a skilfully crafted gift. 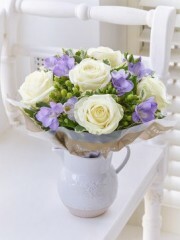 Furthermore, our florists are extremely friendly and would be happy to pass on any advice you may want concerning your special gift for a baby boy. 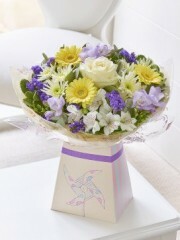 Here at Ellon Flowers we are proud to provide a fantastic local flower delivery service, meaning that your baby boy gift is in safe hands. 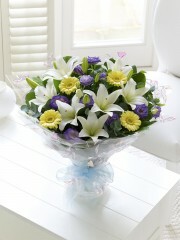 As part of the Interflora brand, ordering in Ellon does not mean that you are limited to delivery in the local area. Instead, you can order in Ellon and have your meaningful baby boy gift delivered to a huge range of locations across the United Kingdom. Here in Ellon the florists know that love and joy has no boundaries, which is why our international delivery service can deliver flower to 140 different countries across the world. Our dedicated team will oversee your special baby boy gift throughout all the stages of the delivery service, until it has reached the new bundle of joy. 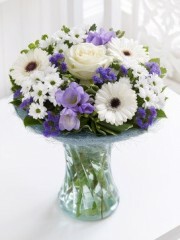 Don’t hesitate to entrust Ellon Flowers with your gorgeous baby boy gift which is bound to bring a smile to his parents’ faces. 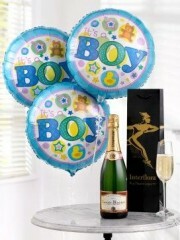 Our wide range of baby boy gifts means that it is easy to find something he’ll love from Ellon flowers. Our baby boy gift baskets include beautiful fresh flowers in a carefully arranged bouquet, complete in a simple basket with an adorable teddy bear he’s sure to love. 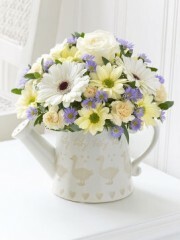 Mum and dad will also appreciate some of our more sophisticated baby boy gift ideas by the florists in Ellon, such as Little Duckling can which consists of a beautiful fresh bouquet in a ceramic watering can which is sure to be a memorable gift for the new parents. 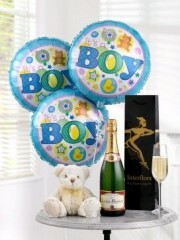 We also offer various baby boy flower gifts at Ellon Flowers accompanied by champagne or rosé wine, boxes of chocolates or truffles, and of course delightful teddy bears. Our same day delivery service by Ellon flower delivery service guarantees that your baby boy gift will be delivered on the same day if ordered by 3pm. 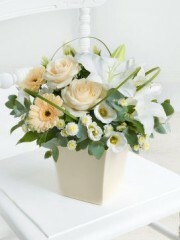 Our safe and efficient flower delivery service means that the deserving new parents and their beautiful baby boy will get their wonderful gift as soon as possible. Here at Flowers Ellon our priority is putting a smile on people’s faces, and there are few occasions which give us more to smile about than the arrival of a precious new baby. 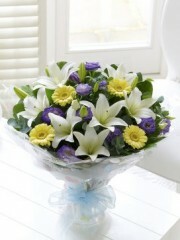 Don’t hesitate to contact our friendly team or advising florists with any queries you might have. 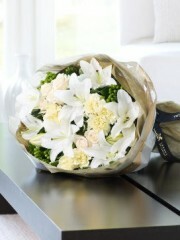 Trusting Ellon Flowers with your great baby boy flower gift is a great decision.